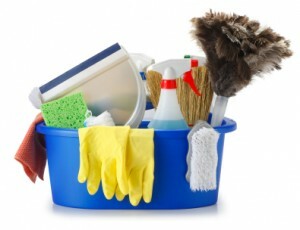 End of tenancy cleaning – do you own a property wherein your tenants just left? Get the chance to increase your rental rates next time by keeping the place clean and fresh. Of course, we’re the corporation to get in touch with – find out more. Spring cleaning – general cleaning often means thoroughly cleaning inside the house, but spring cleaning also involves the outside. Such time-consuming task often requires higher knowledge and expertise – click here for more. Washing & ironing services – staying in the laundry room isn’t really pleasant. Better spend such time with your kids and let our cleaners do your ironing and washing tasks. Party help – aside from the after party, our company also provides party help services so you won’t have to hire another company for this – find more. After party cleaning – while partying is fun, cleaning the mess afterwards is the total opposite story. Why stress yourself on dealing with stains and clutter when you can contact reliable individuals to help you out? – click here. If you would like to learn more about our services, feel free to call us on 020 3322 8291 to talk to our sales experts. Don’t forget to ask about our cleaning rates and special deals.